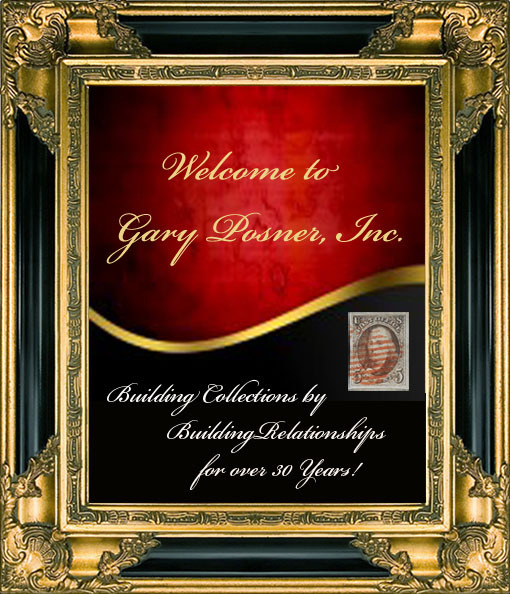 Collectible Stamps - Collectible Postage Stamps From Gary Posner, Inc. Please Sign In or Register by clicking on "my account" above. If you do register, email us at garyposnerinc@aol.com for a $25 credit toward a $100 purchase as a bonus for registering! We do not take credit cards on line, please give us a call. However, you can checkout with paypal.